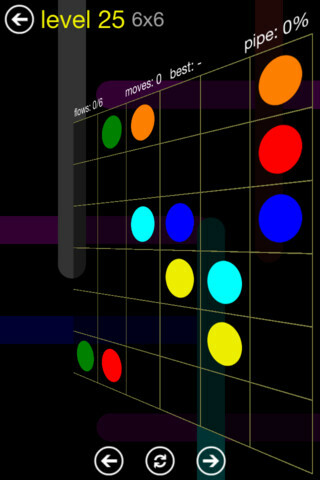 Master this tricky but intriguing puzzler with our game guide. Ever since we got our hands on Big Duck Games' fascinating puzzler Flow Free we've been obsessed, blitzing our way through levels in pursuit of the next tantalizing challenge. We published our review earlier today, now here's all the tips and hints you need to tackle even the trickiest stages. 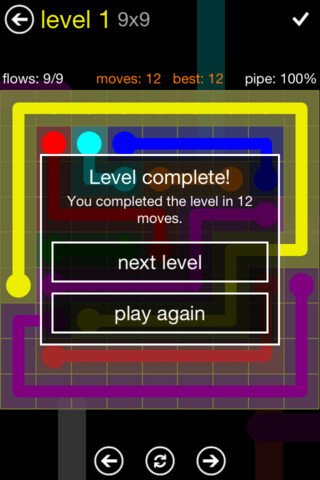 How do I complete a level in Flow Free? There are three criteria for succeeding at a level. First of all, you need to join together dots of the same color in one continuous line. Second, they mustn't overlap at any point. Third, you can't leave a single piece of the grid uncovered. Which dots should I start connecting together? It's pretty easy to complete the early, small grids but you'll likely need a basic strategy when you starting getting onto the 9x9s and above. First of all, look for the dots that are within three spaces of each other and draw them together. This is usually the first hint you'll get. Next, take a look at any dots that are both far apart and resting on the very edges of the grid. This is a sure-fire clue that you need to draw a big line around the edge of the board to join them together. Look for pairs of different colored dots in these positions. It can often be another big clue that you need to create concentric circles of lines on the grid. I have a lot of grid space left over, what should I do? 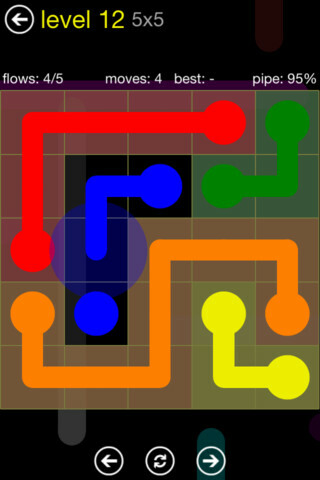 First of all, just get all of the pipes connected together without any conflicts. Then take a look at all of the space that's left over. From here, you can redraw your lines to snake around the empty grid space, filling it up as much as possible before finishing off at the second dot. I have one grid piece left over. What should I do? In the later levels, you'll very often find that you can bring all the dots together perfectly, avoid any overlaps, but there's just one or two grid spaces left over. Don't panic! Take a look at the lines you've drawn that are in the immediate vicinity of the blank tile. It's often possible to make just a couple of line tweaks to get everything covered. How should I tackle the bigger levels? It's actually easier to work from the inside and then work your way out in many of the larger levels. Keeping in mind all of the advice above, concentrate on getting all the pipelines together without obstructing anything, then work backwards to fill in the space. Where can I get more levels from? As you work your way through the game, extra level packs will gradually be unlocked. They get very tricky, very quickly though, so make sure you complete every level in a pack before moving on to a bigger, bolder grid size! Once you've exhausted everything the free game has to offer, you can buy new level packs from the in-app store. How does the Timed mode work? The Timed mode is strictly for bragging rights and allows you to to dictate a period of time and a grid size. You need to solve as many of the puzzles you're presented with as possible, before the timer you've set runs out.